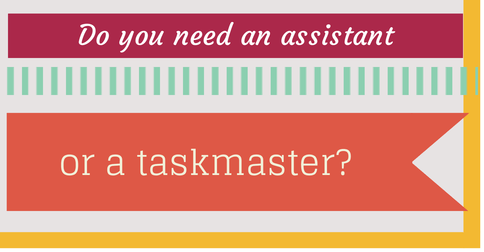 Real estate agents, do you need an assistant -- or a taskmaster? I recently sat in on a session at the Berkeley REBarCamp, where agents discussed the pros and cons of hiring an assistant. After a few minutes, it was clear that most agents had no time to hire and train an assistant, and even less certainty about how long today’s busy market conditions would last. The good news? Thanks to some sweet new tech tools and service opportunities, you don’t have to weigh the cost/benefit analysis of hiring someone full time or even part time. Instead, try outsourcing the tasks as they come up. Here are some unconventional options to test out, starting with the cheapest and easiest to implement, and ending with the most costly and time-intensive setups. Fiverr is a site where people upload tasks they will execute for just $5. Some of the vendors are doing it just for fun, while others are trying to break out into a new job market. Either way, you reap the benefits! Save design time by getting a new $5 Facebook cover photo. Toss out your nautical-themed “Let’s set sale!” branding and get new ideas brewing with taglines from this copywriter. (Seriously, I beg of you. No more “sail/sale” puns.) Better yet, lighten up a multiple-offer situation by hiring this guy to narrate the bidding war as a horse race announcer. In general, Fiverr is great for quick, quirky tasks that aren’t mission-critical. 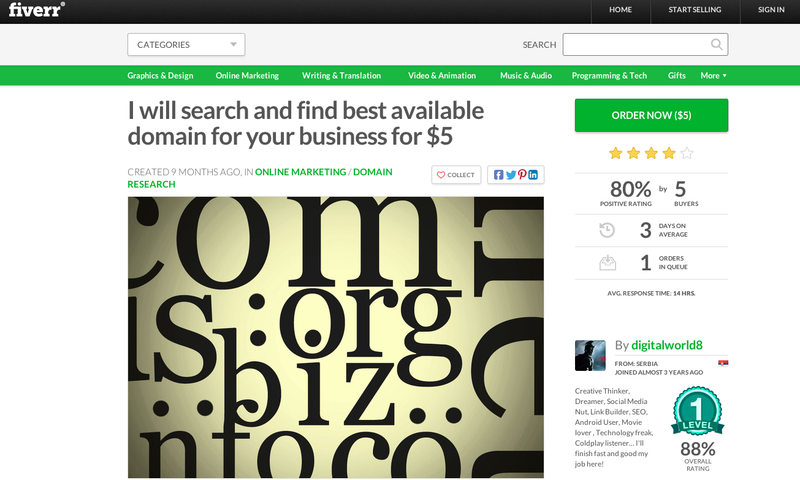 This Fiverr will research some local domain options that match your niche. TaskRabbit flips the dial, allowing you to name your task and price, and then choose from one of the site’s 20,000 background-checked freelancers. (You can also have the site pick your worker for you.) 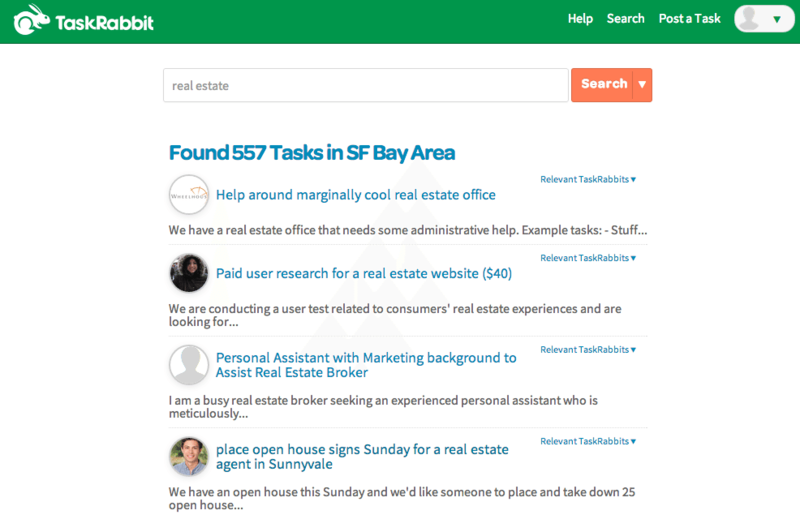 If you live in one of TaskRabbit’s featured cities, you can hire out for hands-on personal tasks like grocery shopping and lawn mowing, or professional tasks like open house fliering. If you don’t live in a featured city, stick to outsourcing technical work that requires light backgrounding. At REBarCamp, where I heard about TaskRabbit, one intrepid agent said she hires the same TaskRabbit to create a custom closing gift for her sellers — a Shutterstock photo book of their previous home. (Talk about great brand exposure — the beautiful book is no doubt a coffee-table fixture for years to come, and her logo and photo are prominently displayed on the back cover.) Other ideas include hiring a spreadsheet wizard for online lead organization, or hiring a recent college grad to develop social media content. Recent Bay Area real estate requests found on TaskRabbit. If you’re looking for high-quality marketing, look no further than the writers, designers, photo editors and developers available on Elance. Elance operates a lot like eBay, where vendors are rated based on past projects, so you can easily tell who is worth the money or not. If you need a new website template, a full rebranding or some local Web content with plenty of SEO juice, Elance can help. Companies like ReadyChat hire live chat agents for your agent website. These agents respond to online leads and flip them to you, ensuring you don’t miss any real-time clients. Meanwhile, a virtual assistant (popular companies include Agent Solutions and RealSupport) can tackle everything from incoming calls to coordinating new listings in the MLS. In the end, recognize that you get out what you put in. Just as Fiverr will get you a little something for almost nothing, you get the most out of a virtual assistant when you put in more time to train them on your brand, tone and ethics. So do think ahead about what you really need before diving into the online assistant and taskmaster pool. Have any other great sites or resources for busy agents? Share them in the comments or tweet @InmanNext.